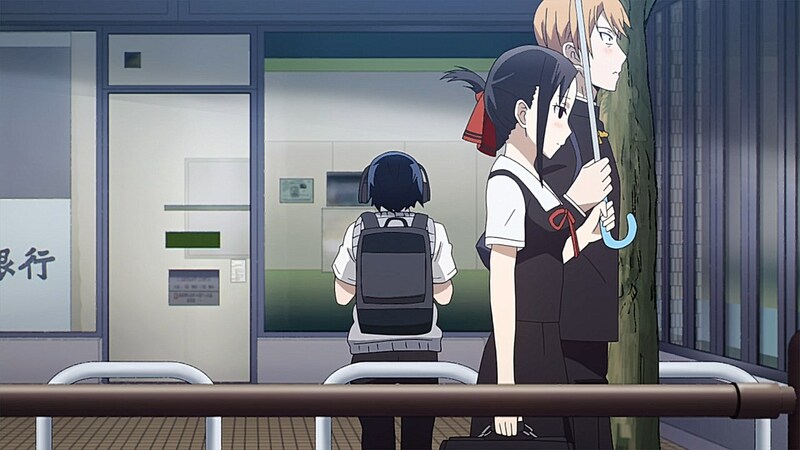 Who would have thought that one of the more intense sequences in Winter 2019 anime would be two students trying to figure out if they have an umbrella on them? 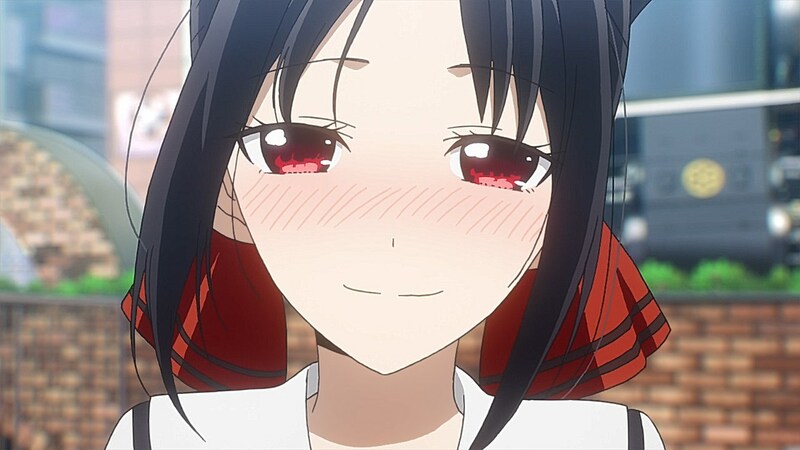 With Kaguya-sama, it’s easy to see why people hold the story’s suspenseful elements with high regards as the anime keeps you on the edge of your seat as to whether the jig is up for Miyuki while he finds himself being compressed by the weight of Kaguya’s orchestrated ploy to get him to reveal his hidden umbrella to walk home with her. 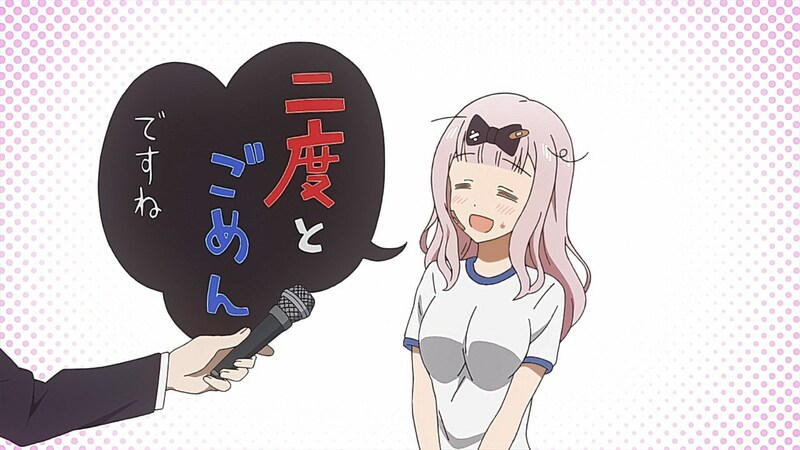 On the same coin, this episode also shows off the series’ comedic chops with Chika’s struggles to be a volleyball mom for Miyuki and Kaguya finding herself in a sticky situation by helping out the girlfriend of the guy Miyuki gave advice to in Episode 02. 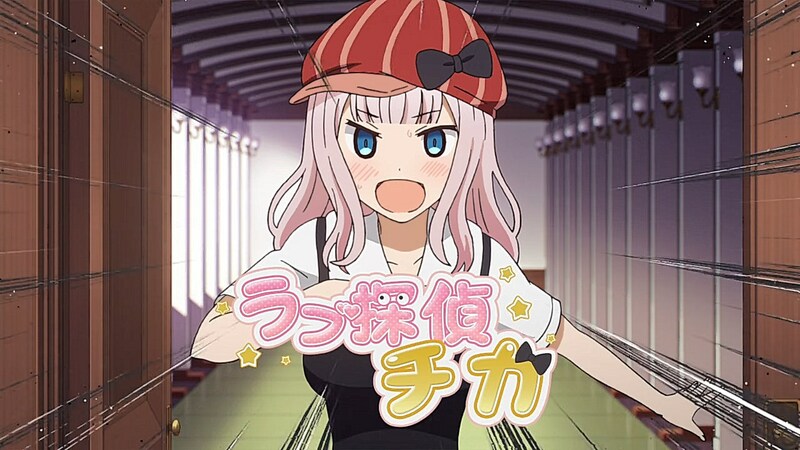 While recent episodes have been open to exploring what Kaguya-sama has to offer outside of the psychological game of ping-pong that Miyuki and Kaguya play, the umbrella section that concludes the episode shows us where the anime’s strengths are in ramping up the tension in these otherwise innocuous scenarios. 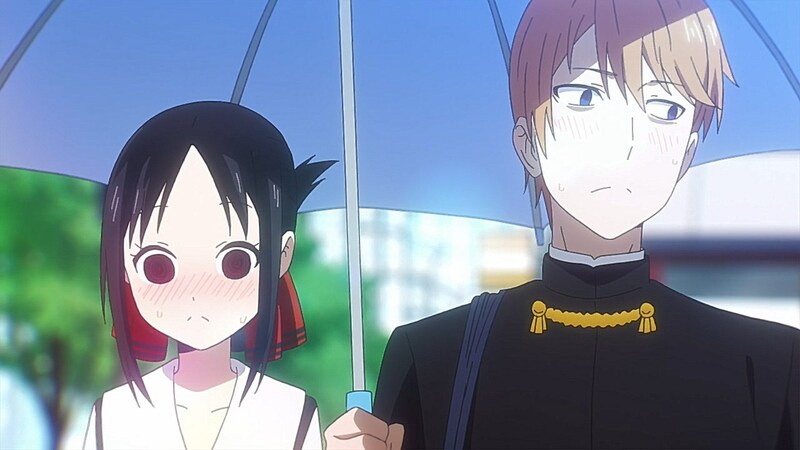 They are both lying about forgetting their umbrella, but Miyuki makes the mistake of being the first person to pry into Kaguya’s personal routine as a reason why she could possibly be fibbing about forgetting her umbrella. 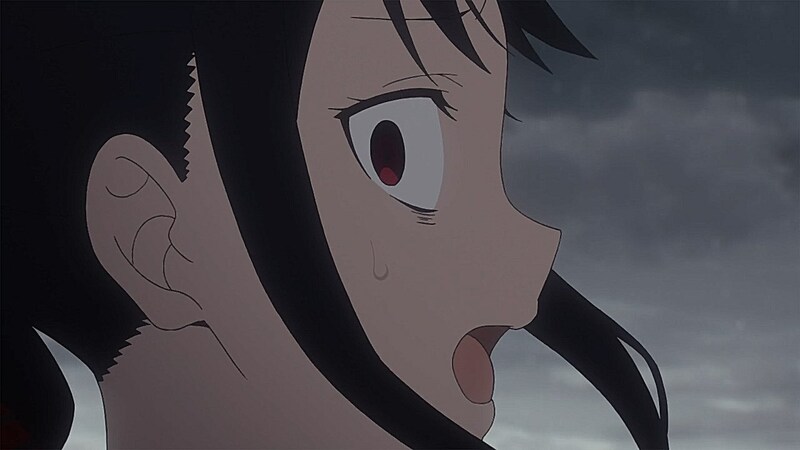 For Kaguya, however, this was just the right response she was waiting for since she dug right into Miyuki’s daily routine and personality as reasons why he’s lying about carrying the umbrella with him. 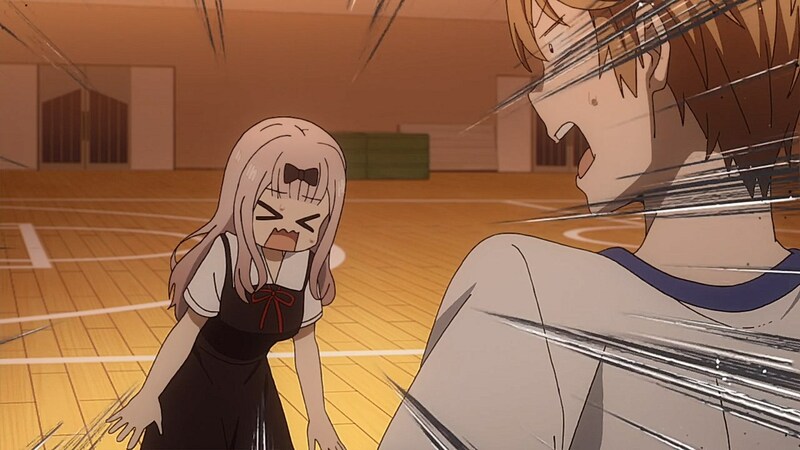 What sells the suspense isn’t just the situation Miyuki is trapped in, but the animation in this particular sequence as it really solidifies how completely boned Miyuki is in this scenario up until Chika comes in to offer her spare one to them and diffuse the situation and save Miyuki’s bacon. 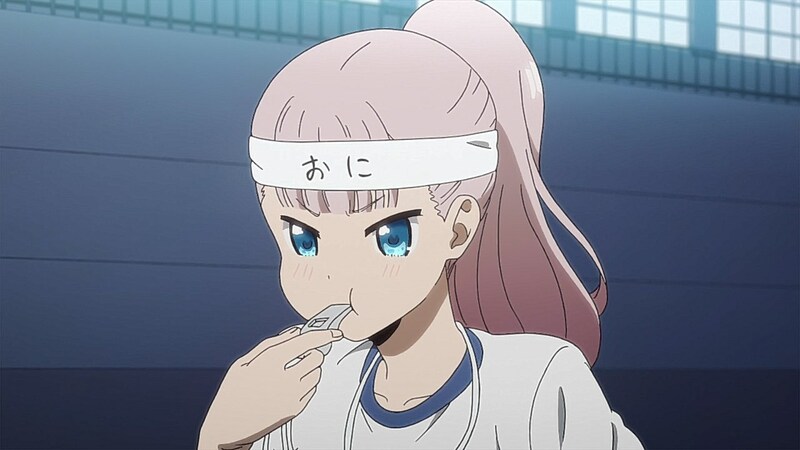 And speaking of Chika, the second part keeps the anime’s humorous streak going with the role she takes on as Miyuki’s coach to get his volleyball skills together. 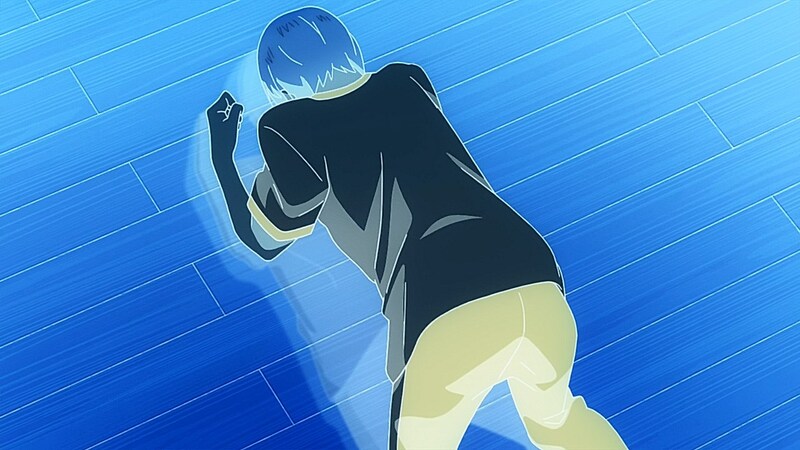 Miyuki’s cruddy athletic aptitude is captured best by the fluidity of the animation as he keeps face-planting in the process of learning to serve a volleyball. 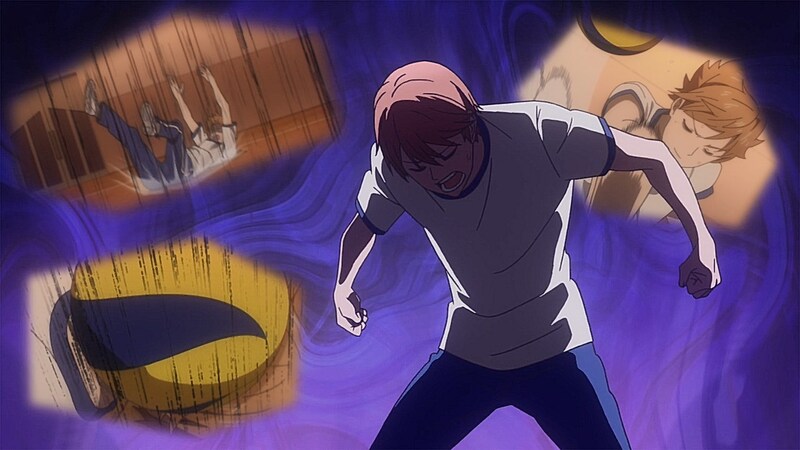 His poor skills are also emphasized through the sheer horror that Chika has to endure as she does her best to teach Miyuki volleyball from the ground-up. 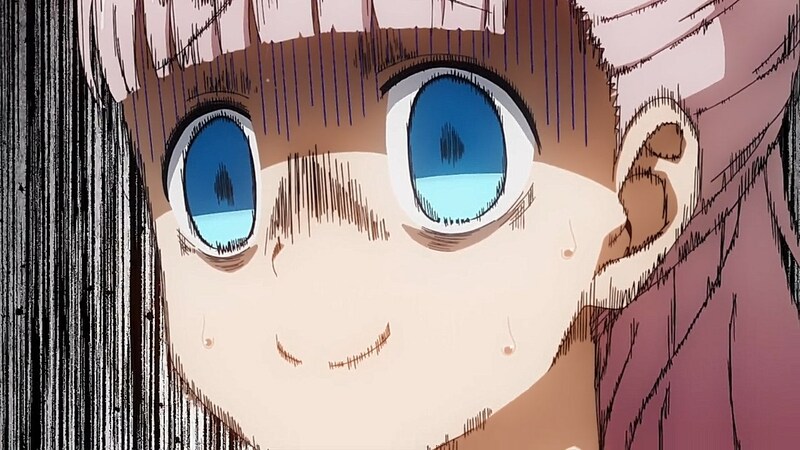 This part does an amazing job with the expressions Chika has with the delight she has from playing around with a volleyball slowly transforms into pure, disheveled terror. 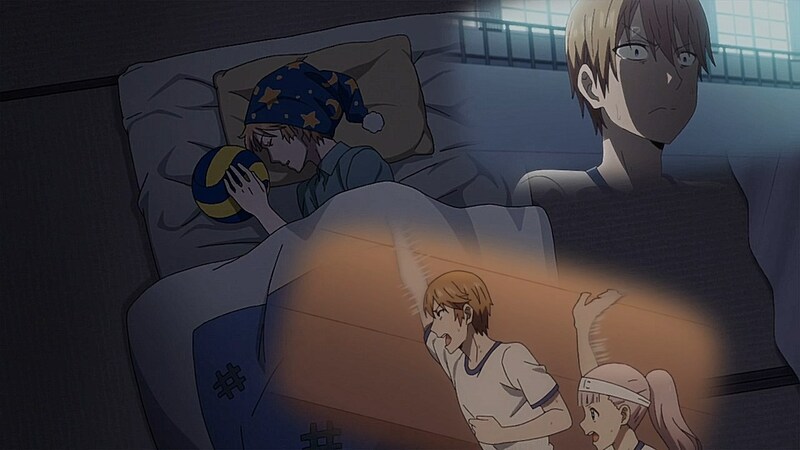 By the time he finally has his game and does an excellent job, it’s easy to see how broken she had become by the excruciating experience she faced to get him there to the point where she takes on full responsibility as his volleyball mom. The continuity and hints of things to come are also strong in the first segment of the episode. 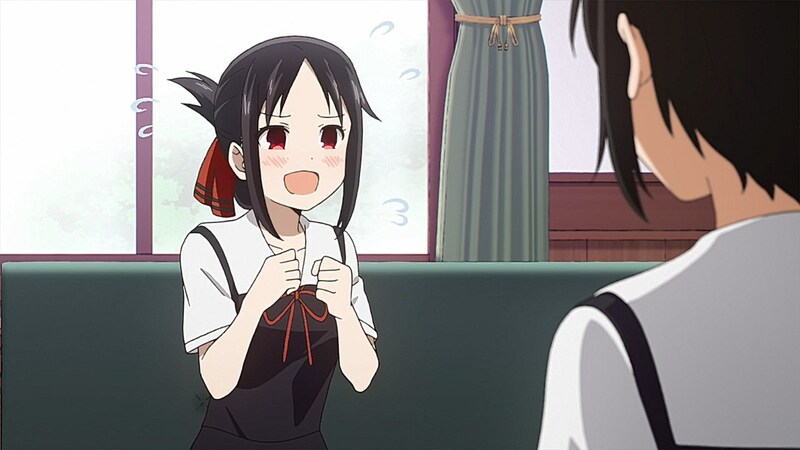 During this first scene, Kaguya is tasked to give dating advice to a girl who wants to break up with her new boyfriend. 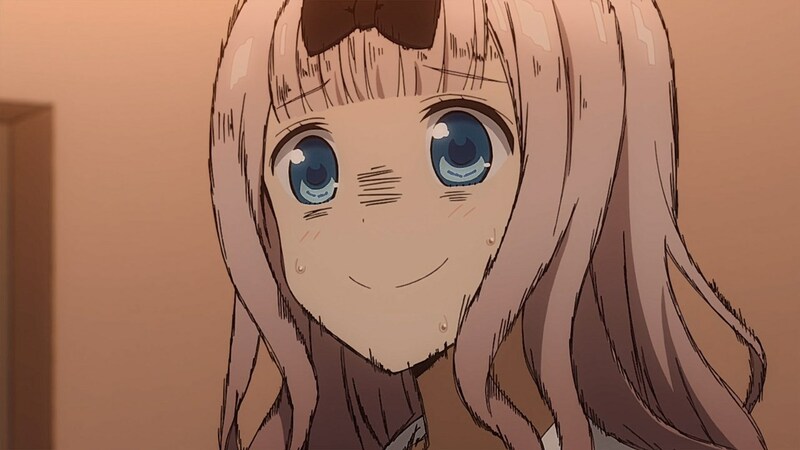 The problem, as it turns out, is that her boyfriend is the same person that Miyuki gave advice to in order to get him to be assertive in asking her out. 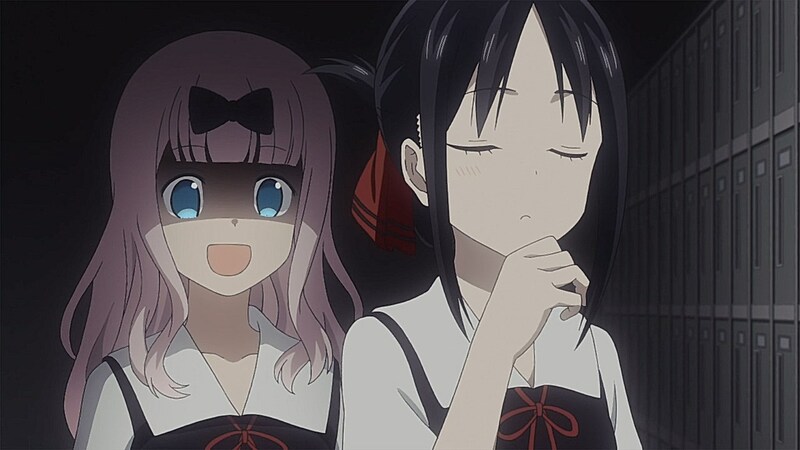 It takes the efforts of Detective Chika, Kaguya’s embarrassment of projecting her thoughts of Miyuki onto the girl’s situation, and a spirited call for revolution against society to help reverse the girl’s fortunes to be more excited about the prospects of improving her relationship. 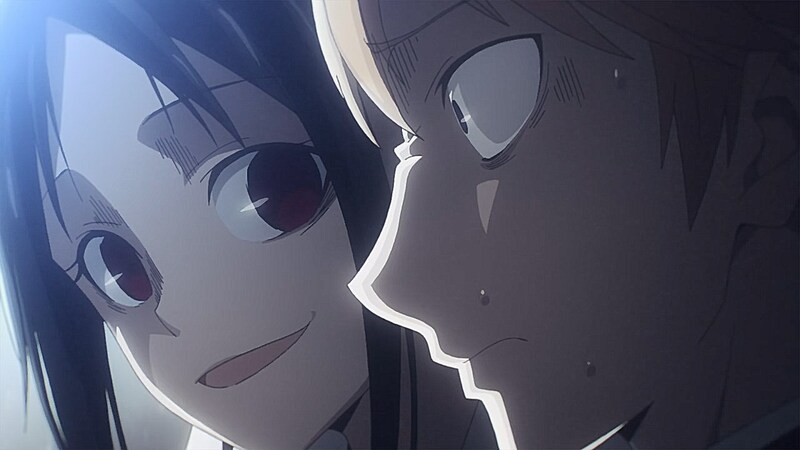 But what the section also reveals is that there’s a secret stalker who may or may not be relevant to the plot later on. 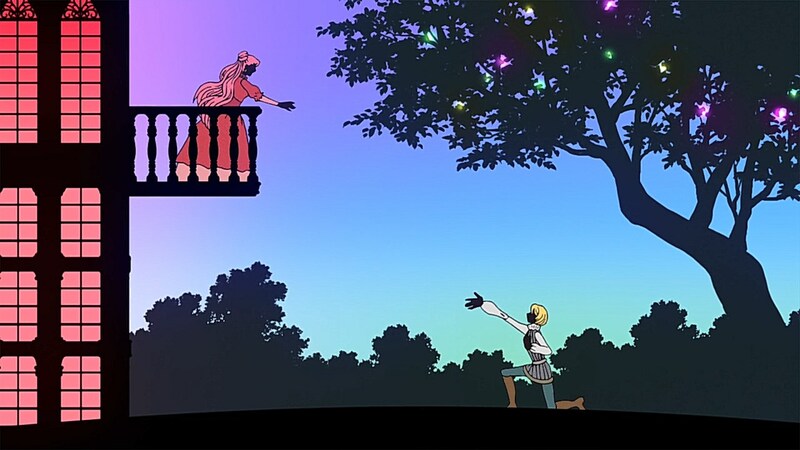 Similarly, a boy turned away from the viewers appears at the end of the episode. 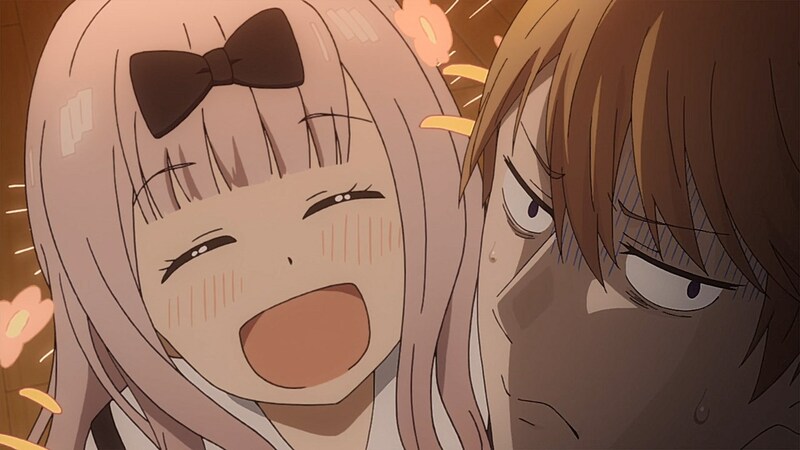 I still need to catch up with the manga, but from my observations as a viewer following the anime, I still find myself delighted by the humor and suspense that Kaguya-sama delivers week-by-week, and can’t wait to see how these two will factor into the plot in the future. 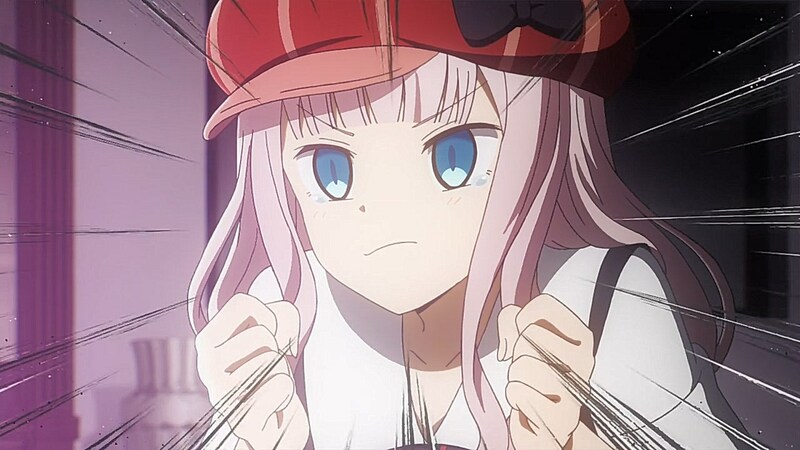 It seems like Chika is actively making her case to be best girl of the season if not the year every time she’s on screen. 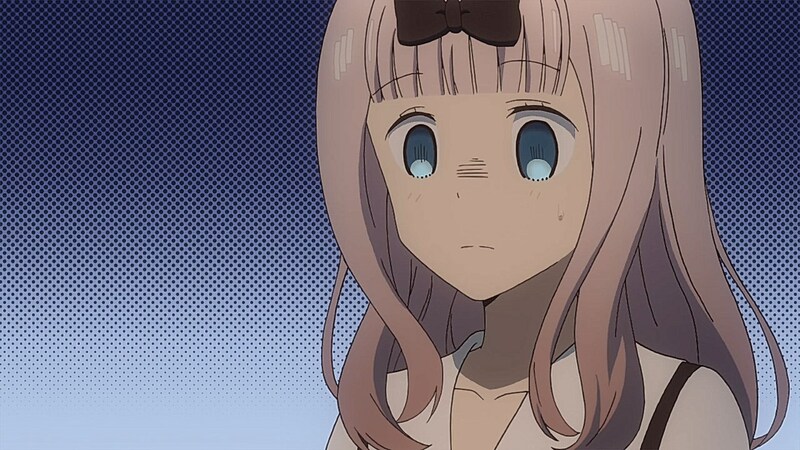 Especially after this episode you could tell me Chika is actually pulling everyone’s strings and I wouldn’t find it that hard to believe. 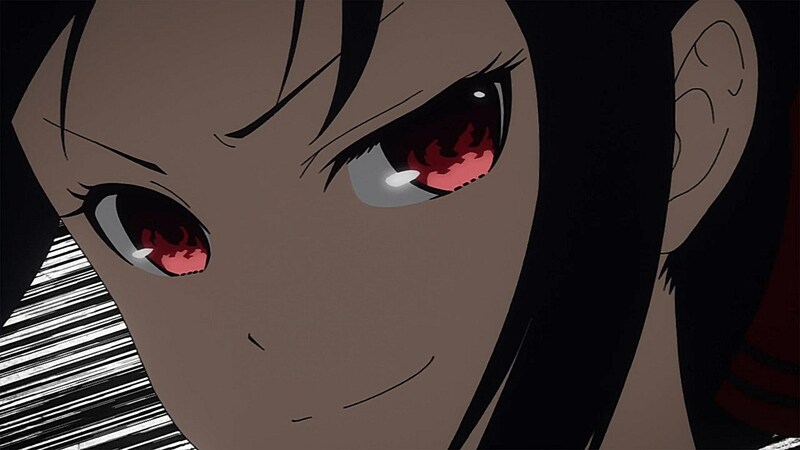 Among the shows I’m watching, second place would be beyond the horizon compared to her. I’ll second the point that Aex makes about her pulling all the strings but add that she only uses her powers for good. “Our guy” the natural predator of fujiwara species. 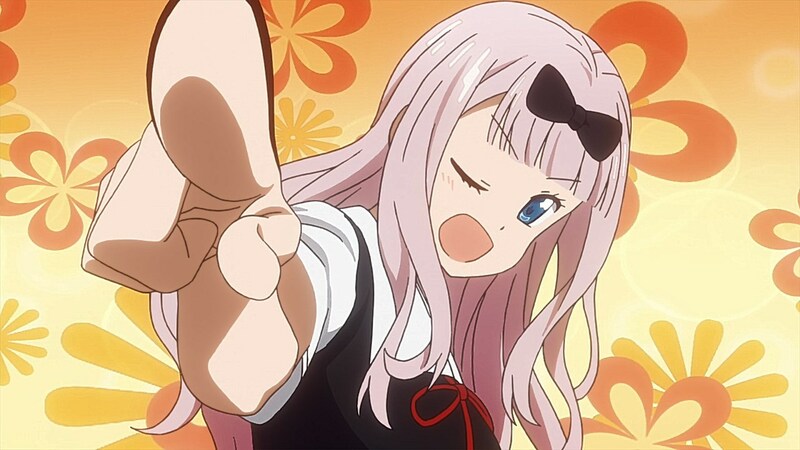 I just started watching all 5 episodes thus far after seeing the explosion of Chika Fujuwara dance and I thoroughly am enjoying it. 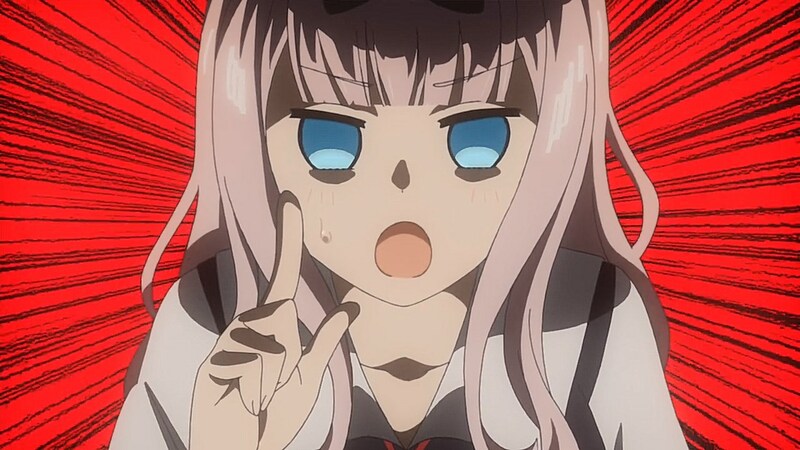 What is there to say that Chika Fujiwara is the ultimate boss of the series? 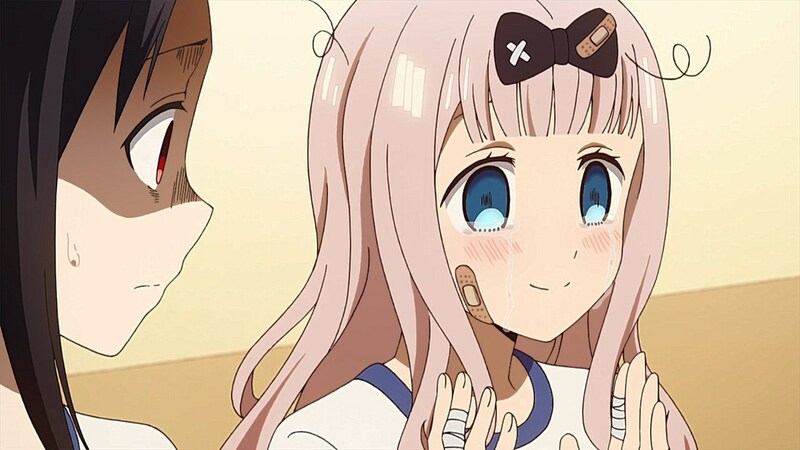 Chika does seem to have a grasp of what pressure points to hit at with both Kaguya and Miyuki during each of the episode’s sections. 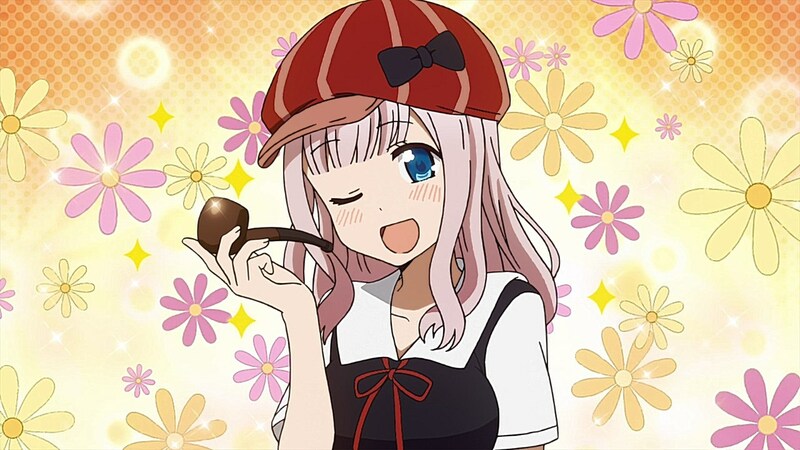 With the questions she asks as Detective Chika, her sudden realization that Miyuki might be working on his volleyball skills for a girl, and her instincts to bring another umbrella for the two to walk under, she might just be the Ultimate Boss. 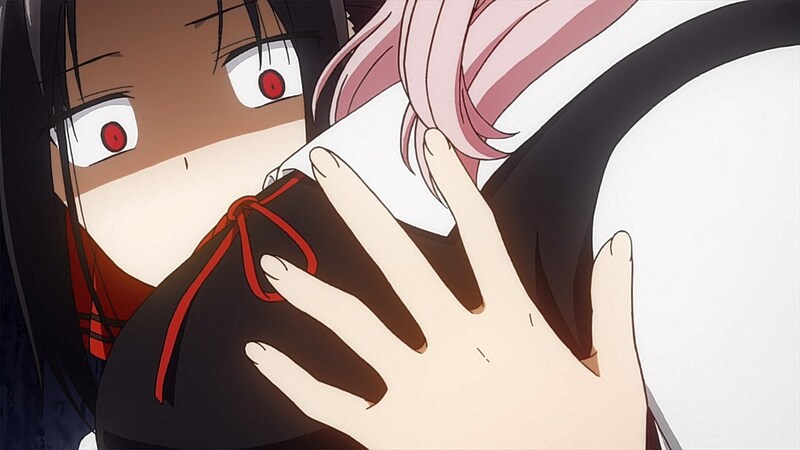 The tension built up so much during that scene that it caught me off-guard when it was suddenly uprooted in one fell swoop with Chika’s solution. 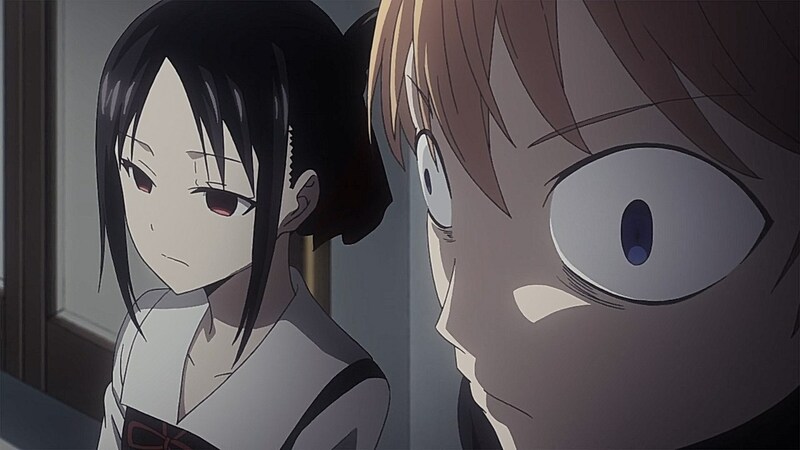 I was hoping that there was some way to keep that momentum going with Miyuki trying to find a way out of Kaguya’s path to absolute victory, but Chika showing up to immediately undermine their efforts was quite funny. 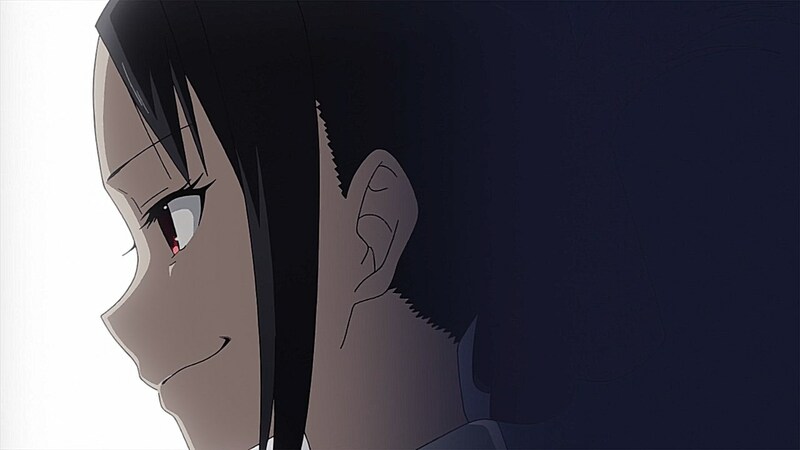 The show continues to make an already excellent manga even better in anime form. 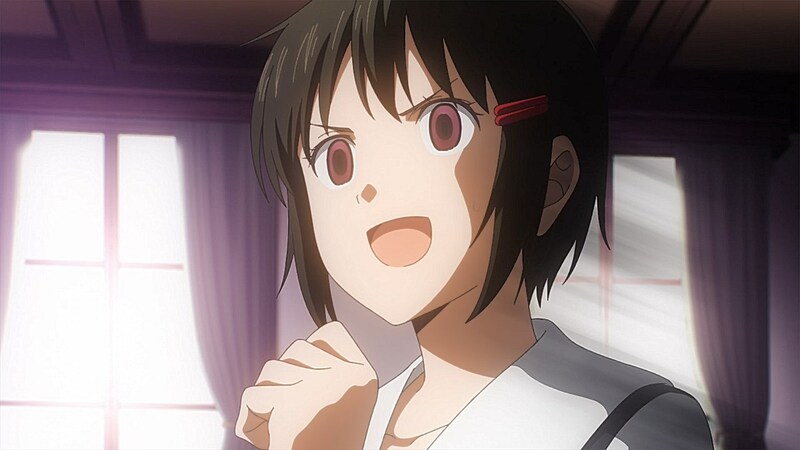 In this episode, Fujiwara’s seiyuu was nothing but godlike. Absolutely fantastic. She did such a great job during the volleyball section with the muffled agony she felt watching Miyuki completely bomb as volleyball. 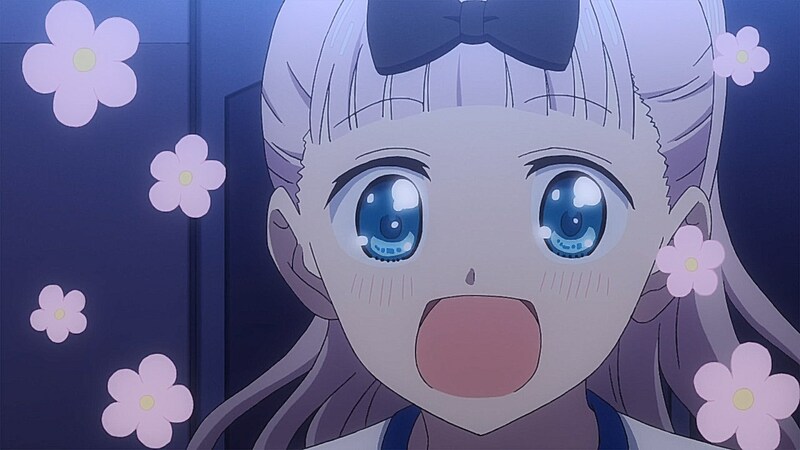 She sells so many of the emotions Chika faces throughout the episode. 2) Hire Tom Jones to sing it. 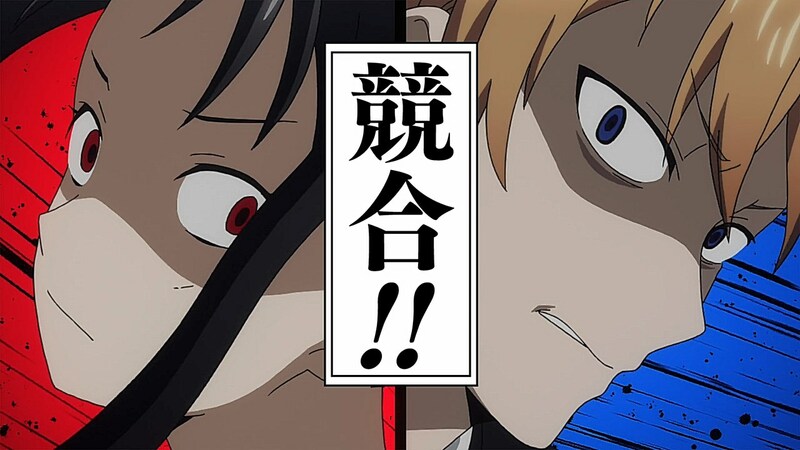 The “secret stalker” is actually explained in the background of the episode where Shirogane helped the boy with his “love problem”. 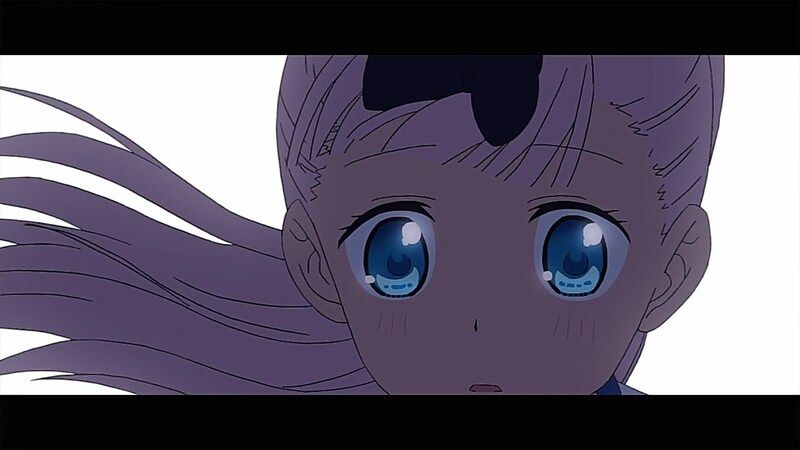 She was actually the one with a crush on the boy and she was having her friend scope out if he was already dating someone, which he mistook for the friend being interested in him and asking her out. 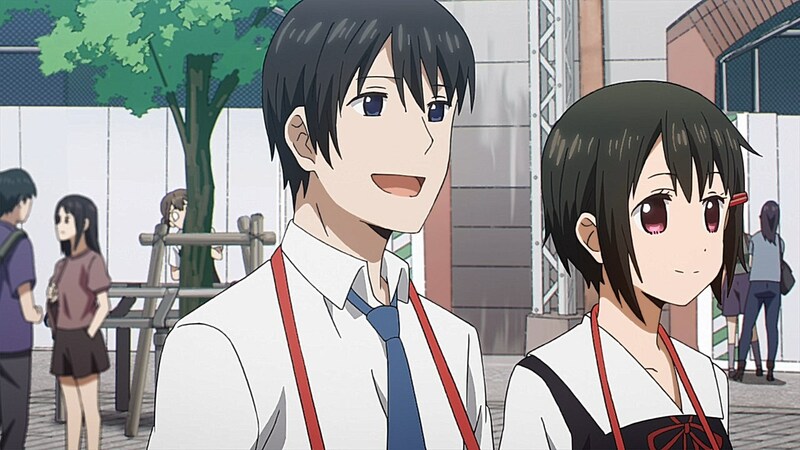 Also the boy turned away at the end should be Ishigami, the student council’s treasurer who was mentioned in passing a few times so far.